Greece, the cradle of the most ancient civilization of the Mediterranean: a land of traditions and pristine nature. Here you can say “I do” with your toes dipped into the sand, or on one of the many panoramic terraces, with the sunset in the background, reflecting on the typical white homes of its villages. You can welcome your guests by a pool at a resort or on a luxurious boat, surrounded by the crystal blue waters that touch all of these marvellous islands. This is the perspective of a destination wedding in Greece, especially one in the Cyclades. Easily reachable with direct flights from the main airports, Santorini encompasses all the magic and splendour of Greek tradition. The most Southern island of the Cyclades is also the preferred location by future married couples from all over the world, fascinated by its uniqueness and by the splendid views from its caldera. Santorini, in fact, is perched upon an ancient volcano, and is characterized by black coastlines that contrast with the world-renowned white walls and blue rooftops of its entrenched hamlets. Here, it is possible to celebrate a civil ceremony on a terrace overlooking the sea at sunset: a truly unforgettable experience! 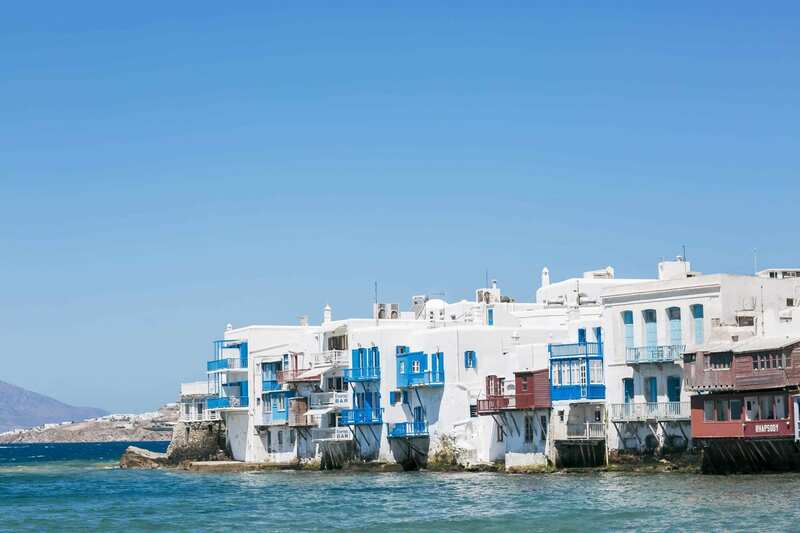 The enchanting atmosphere and the natural beauty of Mykonos attract couples and celebrities from all over the world, who choose to celebrate their big day and honeymoon on this exclusive island. Choosing Mykonos to celebrate the most important day of your life means to share – with your guests – an experience in the spirit of fun and romanticism, which will leave everyone with an emotional memory. 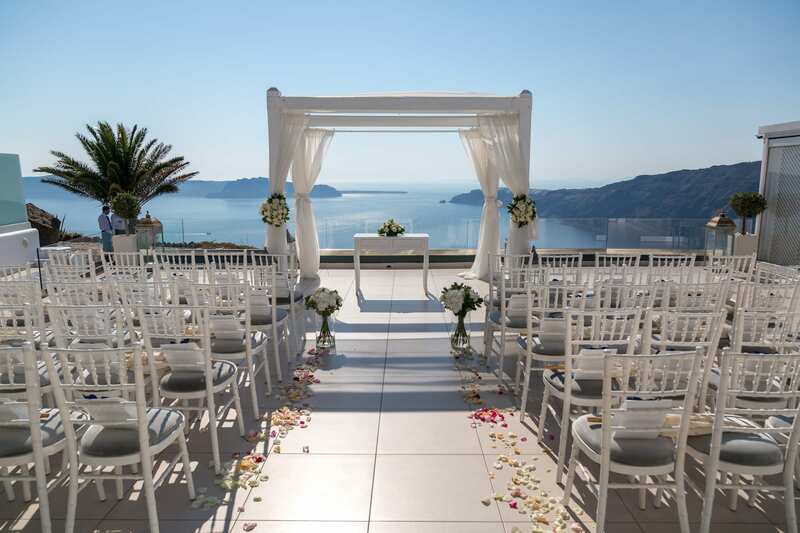 Here, you can have a ceremony on the beach or at one of the island’s many luxury resorts, or you can even choose to get married in the city centre’s characteristic Catholic Church. Whichever solution you end up choosing, you will be the protagonists of a waking dream.